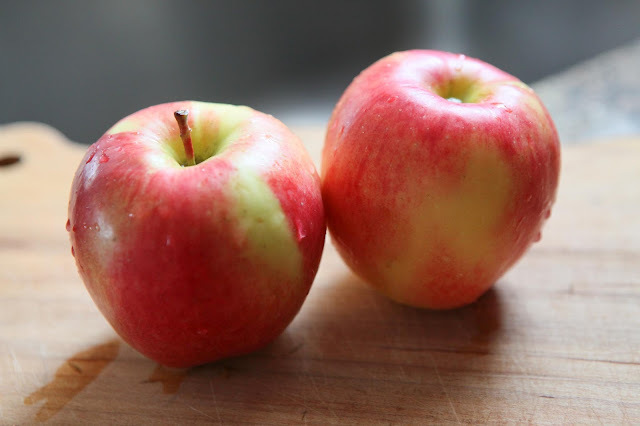 It's been a busy week in the kitchen here, trying some new things and remembering some old. What's cookin' in your kitchen these days? Your sure have been busy, beautiful photos. Love your mortar and pestle. I was worried that if I didn't grind up the eggshells, the hens might develop a habit of pecking at their freshly laid eggs - good to know you've had success just giving them whole shells. Thanks for sharing that. 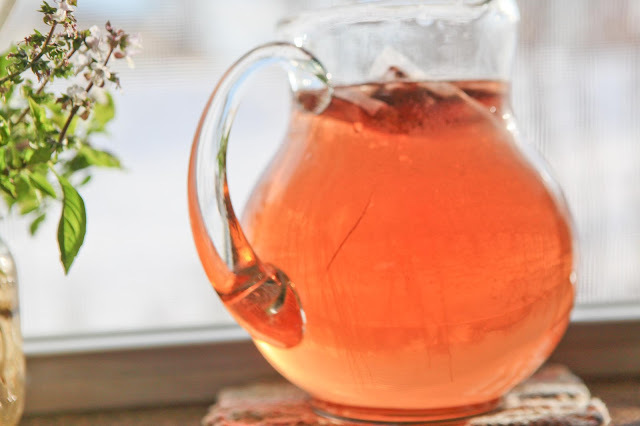 Wait... are you really making winter sun tea indoors? Why did I never think of this? I spent the day in the kitchen yesterday... made chicken stock, some sort of chicken & random veggies pasta dish (which I ate WAY too much of because it turned out really good), then made squash soup... had a bumper crop and we'll be eating squash until the proverbial cows come home... then rounded it out by making a batch of fudge from some bakers chocolate and condensed milk that I discovered when cleaning out the pantry. The fudge was a total disaster... WAY too sweet and didn't set up right, but mixed with peanut butter and spread on apples it made a wonderful dessert. BTW - I've been thinking of investing in a wok, but they all seem to have Teflon coating and, after reading "Slow Death by Rubber Duck" I have developed a deep and abiding fear of Teflon. Do you have one that's not non-stick, or are you just less paranoid than I am? Thanks! I'll have to see what I can find. 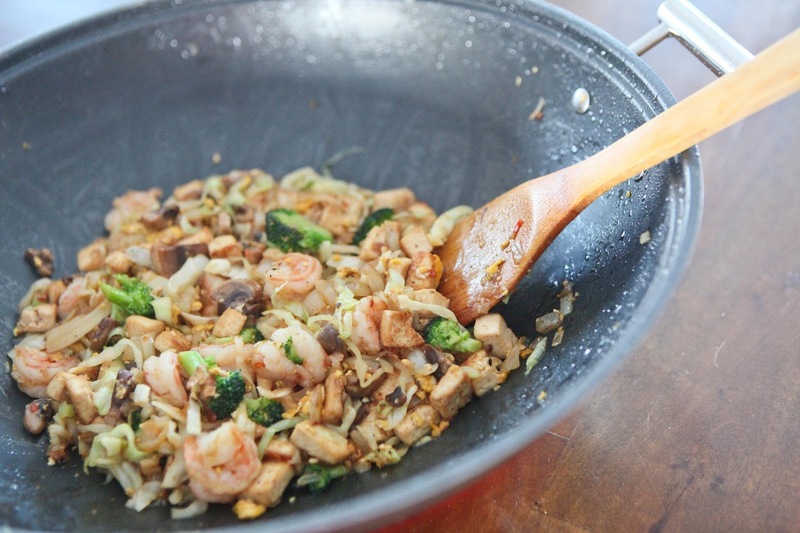 Of course, it's not like I actually have any idea how to use a wok, but somehow I think it might make my stir fry's (stir fries?) come out better! I am on my third attempt at making my own sourdough starter. The brewing tea makes a lovely picture, Jaime. I've been experimenting with baked goods containing vegetables...the gluten-free carrot cake was adored by most, but the zucchini chocolate cake was, um, not good. And that is a blessed baby, to have your homemade applesauce. This week was Chocolate Hazelnut Turnovers, Bison Chile with Black Beans and Corn and Honey Carmel Corn. Not sure what is one the menu today - will depend on if I can pull myself away from carding spinning batts. 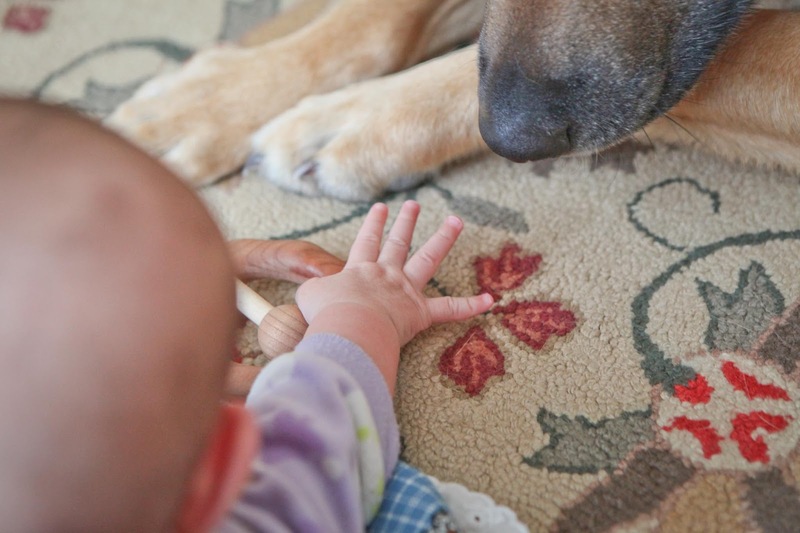 Love the pictures and hope baby girl got a big kiss from her loving companion. Nothing to exciting this week. I made sweet potato fries for the munchkin and a rhubarb-blackberry sponge with the last of the frozen rhubarb. Oh. And I made my favorite Peanut Butter Bar Cookies which were scarfed up in a day. Soup! Winter finally arrived and it's only warm things cookin' for us. That includes eggs because we have lots of eggs. I really like your method of crushing egg shells. After I dry mine I put them all in a paper bag and crush them to bits with my hands. Not so eloquent, but it does the trick. Homemade applesauce is sooo much better than store bought! I made some pasta sauce using frozen tomatoes from last year's garden and even threw in some frozen zuchinni for extra veggies! Busy weekend making toddler meals to add to the freezer, banana loaf and freezing a multitude of eggs! Love the pic of bub and puppy bonding....one of the twins now says our dogs name 'emmy'...so very cute! So, in answer to your question of "what's cooking in my kitchen"....I made corn chowder from The Pioneer Woman's recipe. I did make a few changes and added a couple of diced potatoes to bulk it up some. Soup really taste good when it is freezing outside. Your photos are spectacular! My grandfather, who was a passionate chicken breeder, used to throw the un-ground eggshells at them. You should have seen how much the chickens loved the shells! 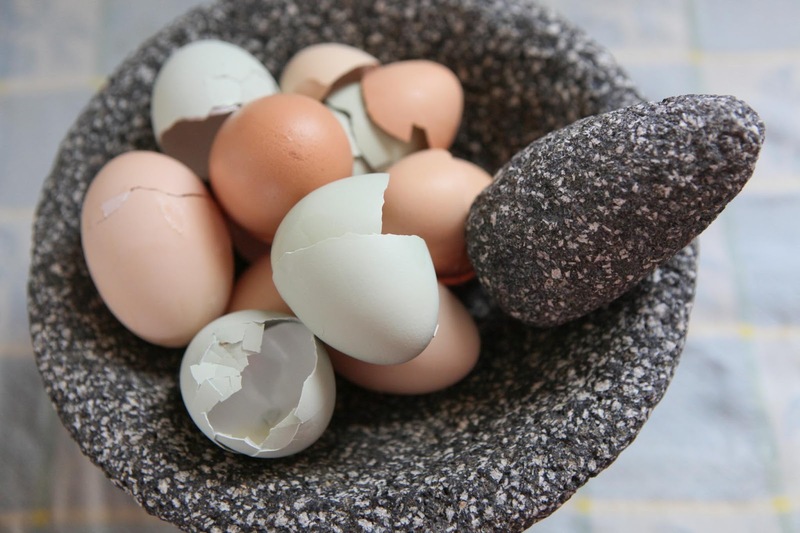 Apparently taking eggshells and grinding them up is suppose to be a fantastic source of calcium and way better them most supplements that have calcium in them.